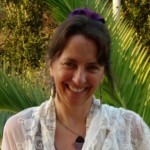 I am passionate about the varied elements of my work and how my different skills, experience and areas of interest weave together to honour and celebrate life and support others.My own inspiration is from my connection to nature, in earth based spirituality, but esoteric and mystical aspects of all faith traditions also resonate with me. I can work with you whether you have a defined faith, if you have none or if you have a personal mix of spiritual self expression. SOUL-CENTRED COUNSELLING: For all life challenges, crises, changes and deeper self-inquiry. Spiritual companionship, loving support and appropriate challenge for you to connect to your innate wisdom for your personal growth. 'SEXUALITY WITH SOUL': Workshops and counselling for individuals and couples and groups on the 'sacredness' of sexual being and its earthly and spiritual expression. Opportunities for safe personal exploration for women (in relationship or not) and re-enchanting committed relationships. 'DOULA' FOR BIRTH AND DYING: Support and accompaniment for reclaiming your experience and empowering yourself; leading to trust of the process and acceptance of the outcome. CREATIVE WORKSHOPS: For seasonal celebrations and connection to nature's cycle.